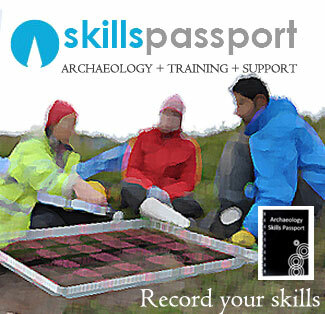 Sampling may be carried out by members of the excavation team or by specialists as appropriate. But when samples are to be collected by site staff he exact sampling strategy must be decided with the appropriate specialists in advance. Various terminologies are used for kinds of samples, but you will mainly be expected to take, Coarse-Sieving samples; Bulk-Sieving Samples; General Biological Analysis sample; and Spot’ samples, including charcoal or other materials for dating. Mainly you will have to write in a sample record sheet, cross reference this on the context sheet, and then fill the 10ltr sample tub or doubled plastic bag, perhaps even a small bag or sample pot before storing correctly OR going to the on site sieving area and carrying out course dry or wet sieving or flotation. Mixing up samples should not happen, as it would negate any evidence recovered from them. PRINCIPLE: Understand the procedure for the completion of a standard context record sheet [Deposit/Cut/Fill/Structural]. Novice – Understands the purpose, but needs to be guided to ensure they have collected the sample appropriately. Competent – Is able to collect a sample as appropriate, but may need some supervision to check it has been correctly recorded and labled. Proficient – Can confidently use the tool without prompting and maintains the item with appropriate safety and maintenance procedures. Bulk-Sieving sample (BS): (Bulk-sieving is also sometimes referred to as ‘flotation’, but the more general term is preferable, since flotation in the strict sense may not be involved in the extraction process). This process is carried out in various ways, ranging from simple sieving to flotation using a rapid water flow (‘washover’). Samples of at least 35 litres per context are preferred for most sites and 500 micron meshes are usually employed. General Biological Analysis sample (GBA): sediment samples, each preferably filling a 10 litre plastic tub; a subsample (typically 1 kg or 0.5 litres) sieved using 300 micron mesh, primarily to collect plant remains, land and freshwater molluscs and insects (the last normally separated by paraffin flotation); at least 1 kg to be kept as raw sediment to be used for special extraction procedures (e.g. for pollen, parasite eggs) if necessary. Under certain circumstances, close sequences of GBA samples may be taken to represent a stratigraphic column. GBA samples are intended for analysis in the laboratory. ‘Spot’ samples can be collected where, for example, C14 material is collected for dating or dense concentrations of biological material or unusual sediments are found. Take care to keep the sample as free from contamination as you can. Store the samples with care, as burst bags, lost labels and loose lids mean the sample is to all purposes, useless. Environmental archaeology and archaeological evaluations. Recommendations concerning the environmental archaeology component of archaeological evaluations in England Working Papers of the Association for Environmental Archaeology 2, 8 pp. York: Association for Environmental Archaeology.